Marc explained previously how the UCL computer science department runs their student project as an agile project: teams of 4 students develop an Android application of their own choosing. 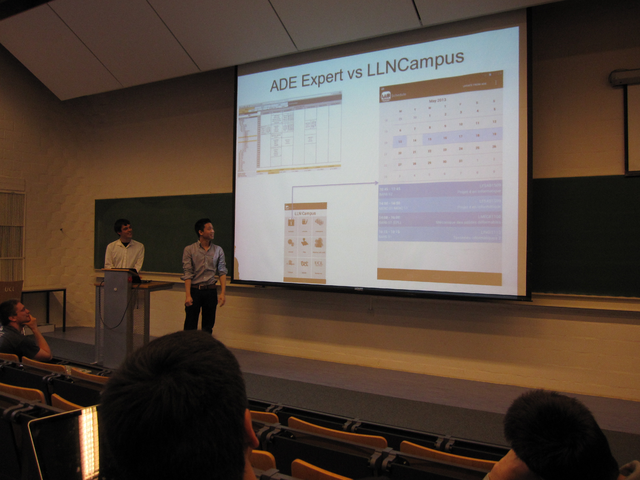 Professor Yves Deville acted as the customer of the team, Marc Lainez provided agile coaching and the teaching assistants acted as onsite coaches. 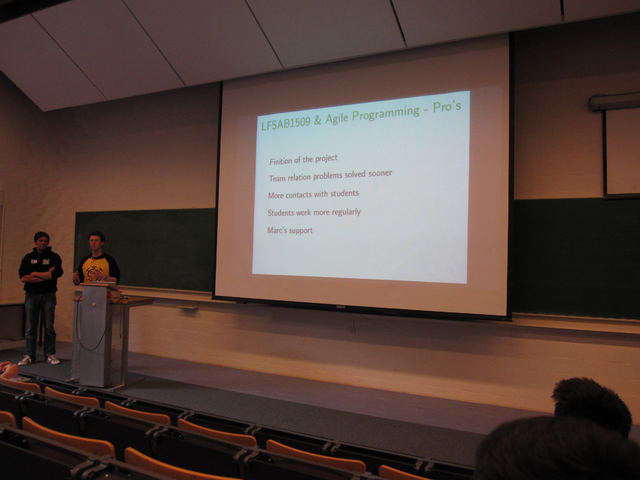 Shortly before the final release of the projects, the university invited Agile Belgium to attend the Show & Tell of the teams. 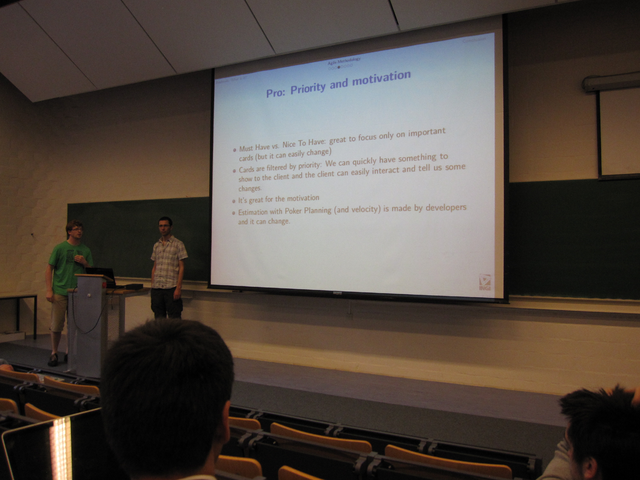 Professor Deville explained the context, objectives and challenges of the project: this is a one semester project for 60 students in 15 4-person teams. 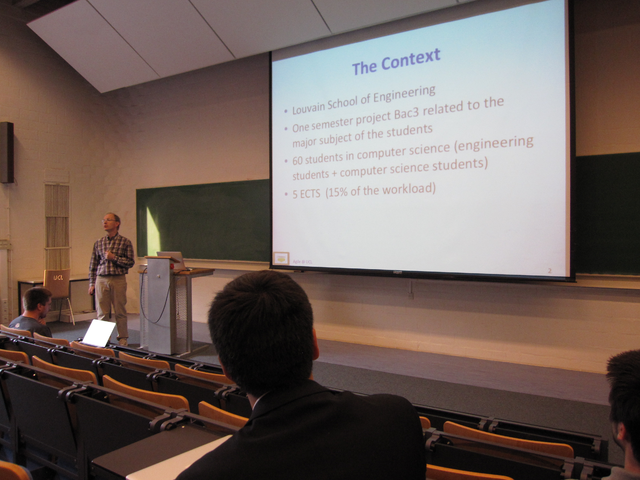 The students are expected to apply cross-disciplinary skills required to design, build and deliver an application. 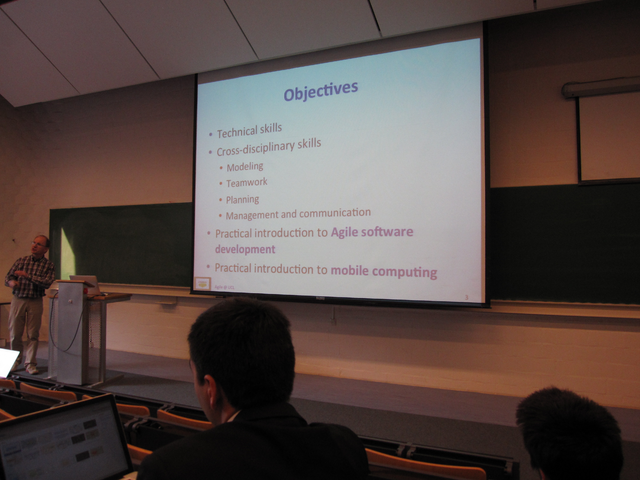 The project is a practical introduction to both mobile computing and agile, which are new to most of the students. Agile is new for the teaching staff too, they’ve only had a few introductory sessions about agile. 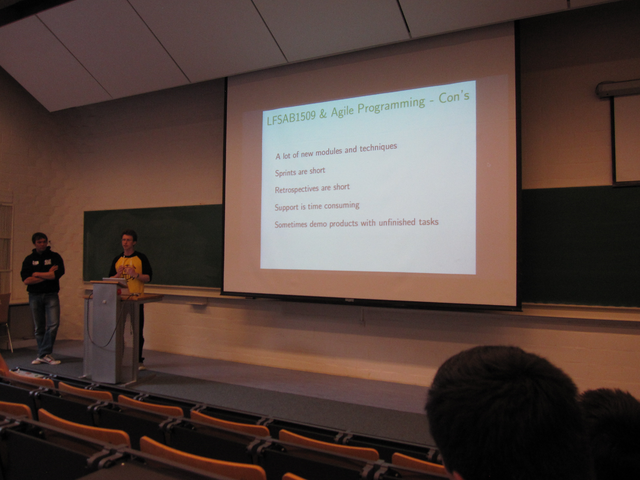 Marc Lainez, who had presented agile sessions before at the university, and Agilar helped the teaching team to devise a simple agile process. 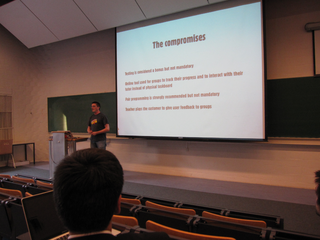 Every team used the same process and constraints. 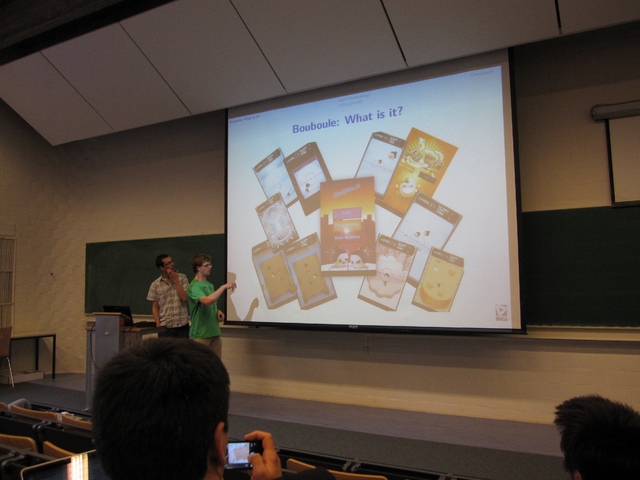 Octo Technology provided their Appaloosa private app store so that students could publish application updates for their customer, coaches and beta users. 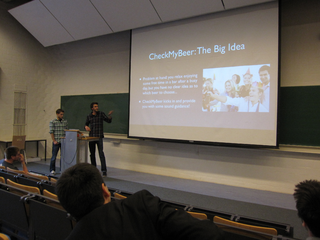 Although the students came up with the ideas for the products, the professor acted as their customer. Because neither students nor teaching staff worked on the products full time, coaching and retrospective time was limited. 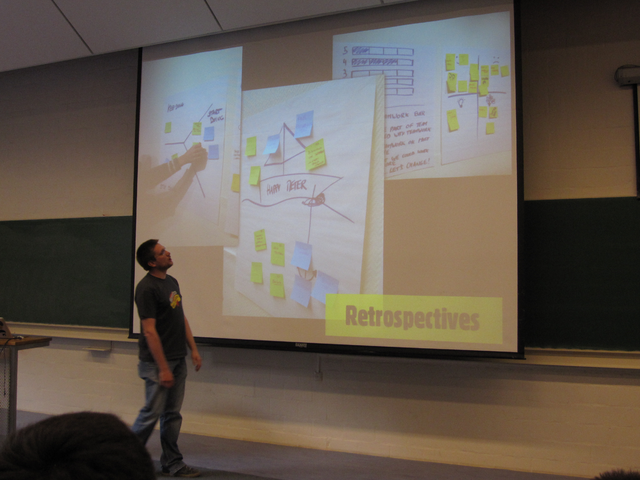 For example, there were only 30 minutes per team to perform an iteration retrospective and getting ready for the next iteration. The second team developed the “Bouboule” game. 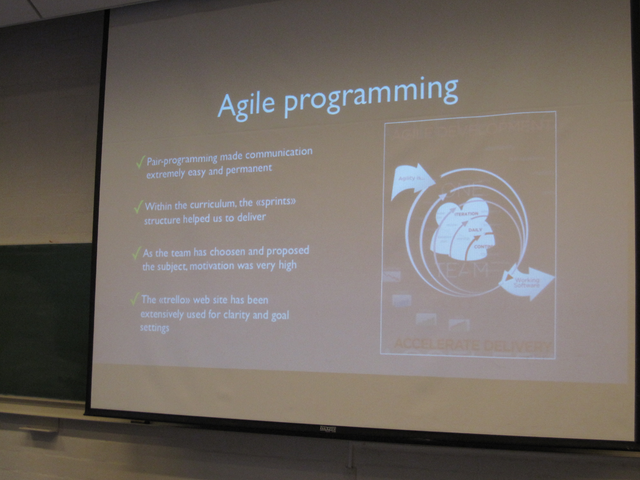 They also found the project very motivating and liked the prioritisation, estimation techniques and opportunities to change course that agile gave them. A third team developed “LLNCampus” a friendlier and more integrated view on the existing data on the campus website. This has the potential to become the premier way that students get information about courses, lecture rooms and facilities on the campus. 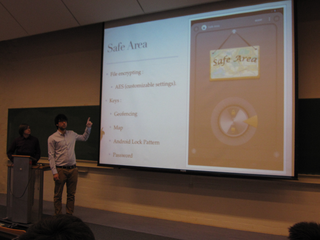 The next team developed “Safe Area“, a tool that provides different techniques to keep confidential information on the phone (like keys, codes and passwords) safe. 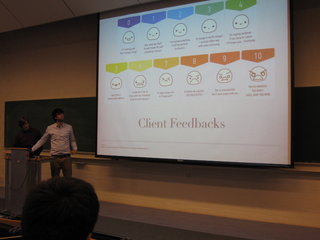 Special mention to the value of regular and fast feedback from your clients and users. The final team presented “Treasure Hunt”, an application that allows you to script small “adventures” so that you can create treasure hunts, touristic information or travelogues. Again, the value of rapid customer feedback allowed them to refine their original idea and take their product into unexpected directions. We often discover what an application is (also) useful for by using it. You may discover a whole new market and then “pivot“, as the cool kids say nowadays. 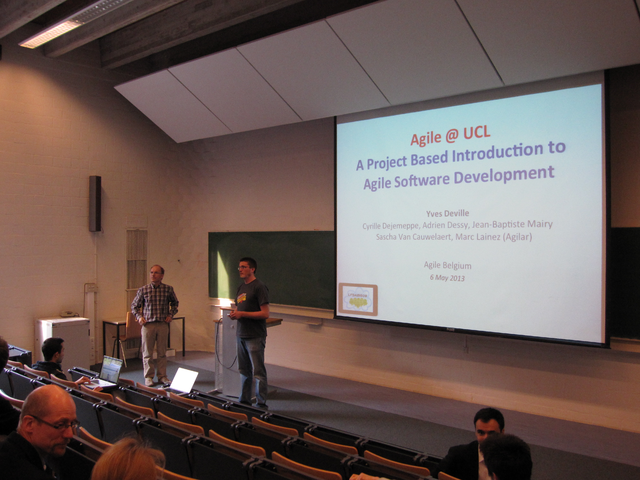 You can find all the applications on the UCL/INGI developer page. 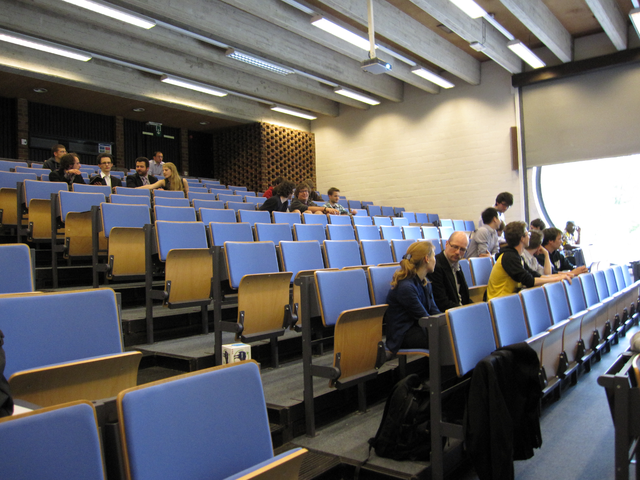 The customer and coach roles took a lot of time from the teaching staff, but that investment provided value in steering the project and resolving issues. Having a bit more time for retrospectives and sprint preparation would have been useful. One customer, two onsite coaches and one meta-coach all working part-time on the project is not a lot to follow up 15 product teams. 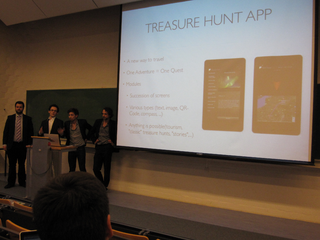 The teams managed to get a product from scratch into the Android marketplace in a few weeks of part-time work. Impressive. This is a great initiative by the UCL. I wish more schools and universities allowed their students to experience an agile project. I can only dream of students entering the workplace with a successful agile project under their belt and who think this is the “normal” way of creating products. 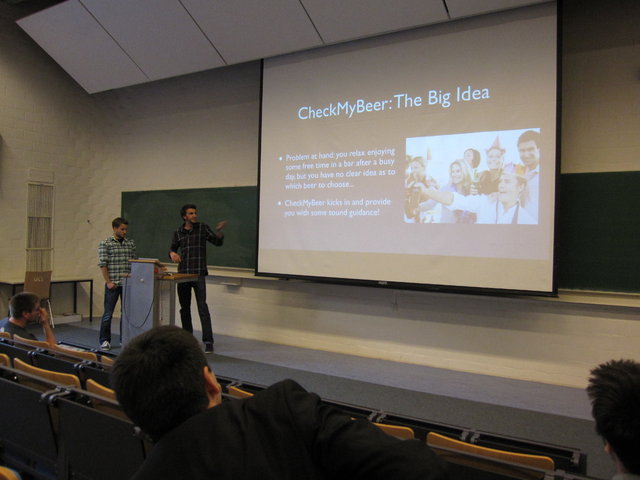 Professor Deville and Marc Lainez will publish their experiences in a paper so that other universities can learn from the experience. We’ll let you know when the paper is available. If any other universities or schools want to know more about agile, the Agile Belgium community is here to help. Contact us. Thank you UCL computer science department, Marc Lainez and Octo Technology for making this project possible. 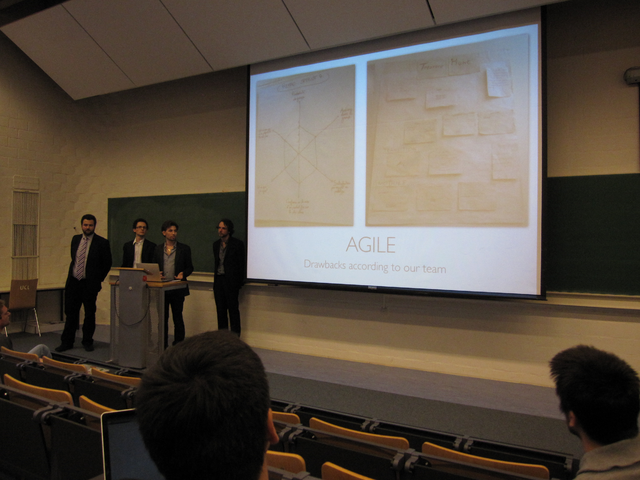 Thank you to the students for their feedback on agile and their warm welcome.